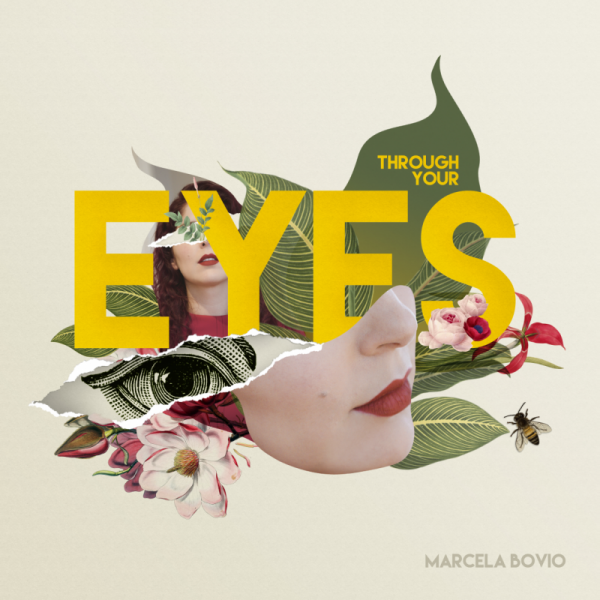 Through Your Eyes is the second solo album of the sparkling Mexican soprano Marcela Bovio. Never content to rest on her past achievements, she consistently explores new territory with every project, and this new record is no exception. The 11 songs of this chamber/baroque pop album combine the delicate elegance of classical music with the captivating vocal melodies and uncompromising emotion of Marcela’s metal and Latin roots. Erik van Ittersum contributes piano, while violin and cello duties are handled by Ben Mathot (Ayreon) and David Faber (Dudok Quartet) respectively. Through Your Eyes is an outgrowth of her first solo effort, ‘Unprecedented’, which was created from an enormously successful crowdfunding campaign that garnered 448% of her goal amount. One of the ‘perks’ available to fans was the opportunity to have a unique song created with Marcela. Through Your Eyes is the result of this offering. “This album is very special to me… It was inspired on 11 different topics, provided to me by 11 different people from all around the world. Some of their stories are sad and melancholic, some of them are full of hope.